The European Space Agency (ESA) and Russia’s Federal Space Agency known as Roscosmos, launched on Monday the unmanned ExoMars rover aboard a Russian rocket as part of a mission to explore Mars and hunt for signs of life there. The probe is expected to reach the red planet in October. ExoMars’ Trace Gas Orbiter is set to analyze methane and other gases in the atmosphere of Mars to find out their origin, according to ESA’s head of mission operations Paolo Ferri. The orbiter TGO and the lander named Schiaparelli will separate on Oct. 16 and three days later the TGO will be captured into the red planet’s orbit. The lander will head towards Mars’ surface for a soft landing and will start gathering environmental information for a few days. Schiaparelli’s main goal is to test out entry, descent and landing technologies for a rover that is set for 2018 as the second phase of the ExoMars program, according to a report by Space.com. ESA’s first mission to the red planet was Mars Express, which launched a lander and an orbiter in 2003. The orbiter is still working there, but mission controllers lost contact with the lander before it could touch down. The lander is called Beagle 2. 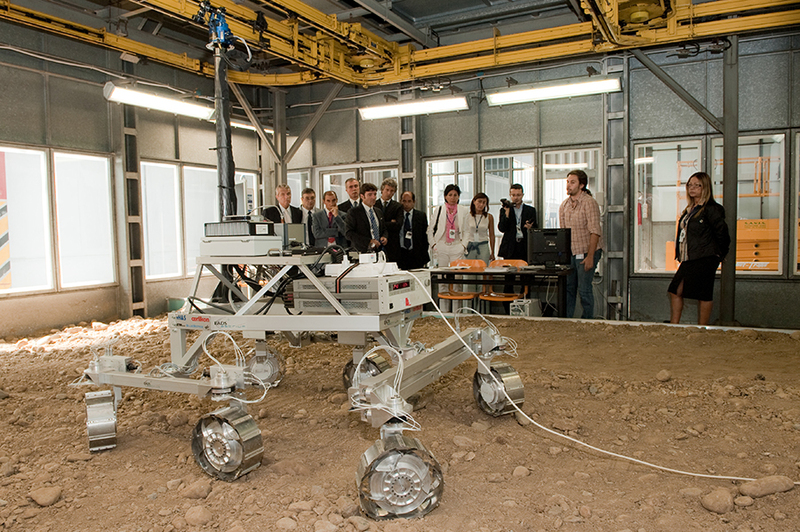 As part of ESA’s partnership with Roscosmos, the Russian agency is providing the landing system for the 2018 rover and several scientific instruments. NASA was ESA’s original partner for the ExoMars mission, but the American space agency said it had some budget issues and dropped out of the project in 2012. TGO will hunt for potential signs of Martian life in the atmosphere of the planet. The spacecraft is also designed to map subsurface hydrogen deposits and look at possible landing spots for the 2018 rover. Besides, TGO will be used to communicate mission control back on Earth with that rover. The spacecraft will begin hunting for methane because it is produced by biological or geological activity and breaks down after a short period of time as it reaches the atmosphere. If life is discovered in Mars, even if it is only about microscopic organisms, it would definitely prompt questions about whether manned missions to the planet should be attempted in the future, as commented by senior science adviser at ESA Mark McCaughrean. In terms of planetary protection, he said at ESA mission control in Darmstadt that scientists should think thoroughly about the idea of sending human beings to Mars if life is found there because astronauts would take bugs with them and there could be a ‘disaster’ if those bugs meet Martian bugs. After ESA’s Beagle 2 probe disappeared during the landing process back in 2003, the agency decided this time to separate the orbiter mission from the landing attempt due to the complexity that represents landing a spacecraft on Mars. ExoMars marks the first interplanetary mission undertaken through a partnership between the ESA and Roscosmos. The program cost the European agency 1.3 billion euros, or $1.44 billion.